The Krakow Royal Road is a commonly used term for the ceremonial route that was being used for celebratory parades, coronation marches and funeral processions when Krakow was the capital of Poland. Monarchs, distinguished guests, foreign envoys and national heroes marched from St. Florian’s Church to the Wawel Royal Castle, welcomed by the city’s authorities and inhabitants of Krakow. Though the Royal Road has not been used for over two centuries, it makes one the most popular tourists routes today, due to the fact that many of the city’s landmarks are located along the way. The starting point of the Royal Road is today’s Jan Matejko Square. In the old days, it was a centre of the medieval town of Kleparz, a little commercial hub neighbouring with the Old Town of Krakow. At the turn of 12th and 13th centuries, St. Florian’s Church was built in the north-eastern corner of the square. In the church were laid the relics of St. Florian, one of the main Polish saint patrons. 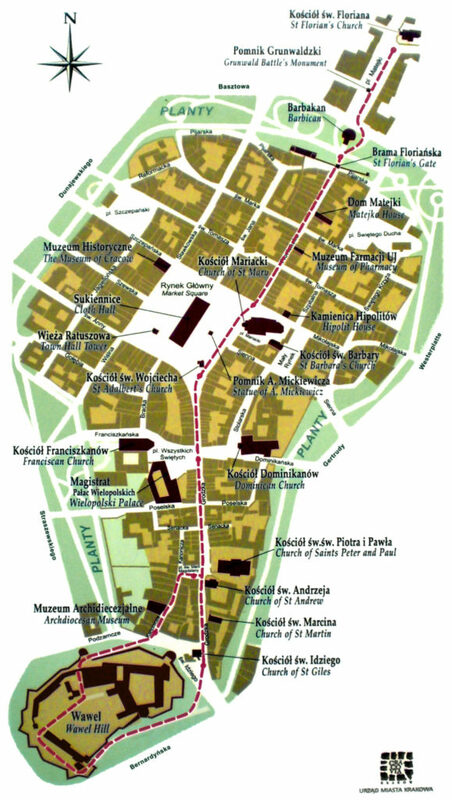 From there, mostly funeral processions set out for the Wawel Cathedral. Today, the main focal point of the Matejko Square is the Grunwald Battle Monument, erected in 1910, on the 500th anniversary of the king Wladyslaw II Jagiello’s victory over the Teutonic Order. 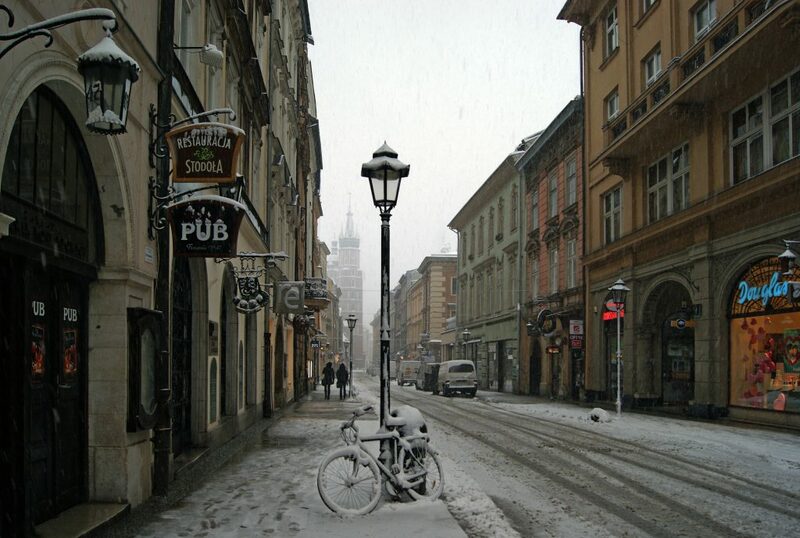 The town of Kleparz was incorporated into Krakow in 1791. In the 19th century, several impressive buildings were built, such as the headquarters of the Academy of Fine Arts. The parades entered the city through St. Florian’s Gate, the main of eight city gates, and the only one not dismantled during the 19th-century modernisation of Krakow. Since 1499, there was one more stop before the gate, which was the Barbican. At the time it was one of the most technologically advanced fortifications and it was never conquered. Today, Krakow Barbican is one of only three such fortified outposts preserved in Europe and it is undoubtedly in the best shape. Then, the route continued down the Florianska Street and past St. Mary’s Basilica, reached Krakow Main Square. 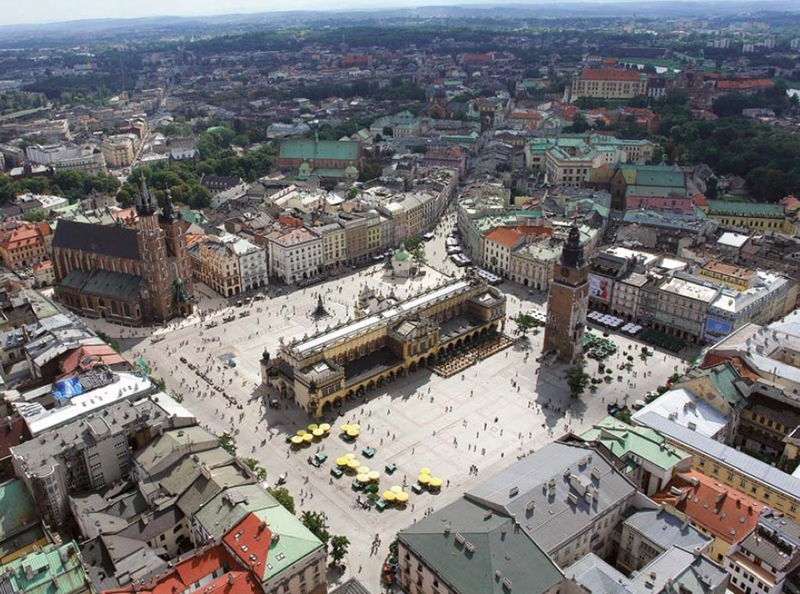 The Main Square in Krakow, the largest of medieval grand squares in Europe, is Krakow’s showpiece. Always crowded with tourists, and just as much with monuments of top historical value, it marks the halfway of the once Royal Road. In the very heart of the Main Square stands the Cloth Hall, a large trade centre that dates back to 13th century. The Cloth Hall was refurbished in the 19th century but retained its magnificent Renaissance decoration. The Royal Road then leads past the Church of St. Adalbert, Romanesque little church that predates the Main Square itself and into the Grodzka Street. Grodzka Street is connecting the Main Square with the Wawel Hill. It runs diagonally, which is an exception from the rule – the Main Square was designed in a way that from all sides, three streets lead to it perpendicularly. Along the way, the processions reached a little square, today called All Saints Square. On the west side of the square there are two note-worthy buildings. Church of St. Francis of Assisi is a beautiful example of Gothic architecture in Krakow and inside, it is full of breathtaking floral polychrome and a masterpiece stained glass window by Stanislaw Wyspianski. Neighbouring the church is the Wielopolski Palace, the Renaissance town-palace that was turned into the city hall in 1865. Down the Grodzka Street, there are another two beautiful churches – Baroque Church of Saints Peter and Paul, modeled on Il Gesù in Rome, and Church of St. Andrew, an example of a fortified church that has stood almost untouched in its Romanesque shape since the end of 11th century. Grodzka Street ends at the foot of the Wawel Hill. The Royal Road then climbs up to reach its final destination, the Wawel Royal Castle and Cathedral. The Wawel Cathedral is where Polish monarchs and their spouses were buried. 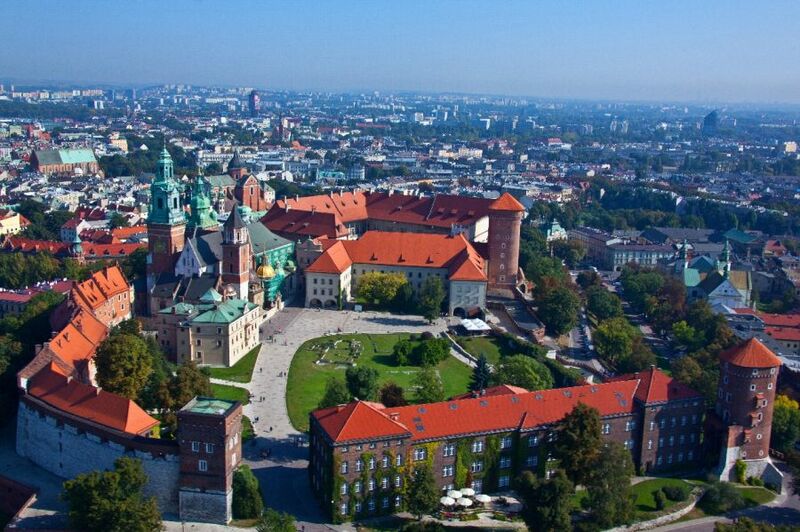 The Wawel Hill is a rewarding end of the beautiful Royal Road in Krakow.